With the perfect fit and flex change the whole mountain in the Lashed. With the supportive Independent Eyestay and Performance Backstay tackle any terrain. Outfitted with the Team Fit System customize your fit with the Heel Hold Kit and heat moldable liners. The 32 Lashed Bradshaw boot is my favorite boot in the 32 line. Not only are they affordable, but they have high end technology built into them. 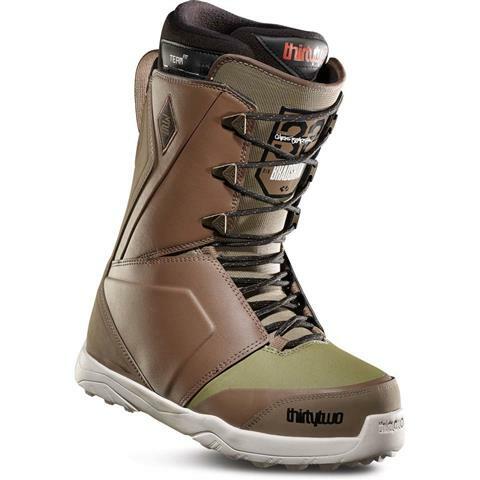 Thirty Two has designed this boot to hold your heel snug in place allowing for maximum control. Also, the traditional lacing in this boot allow for personal comfort. 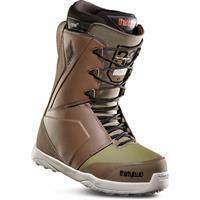 The awesome colorway of boot was designed by pro Chris Bradshaw, showing his creativity.